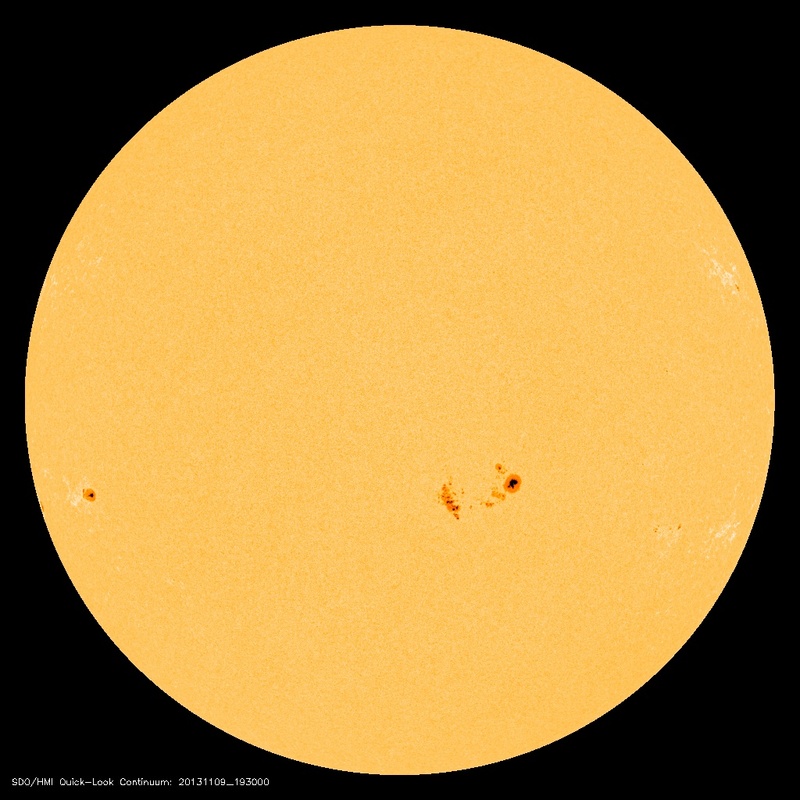 The Sun’s sunspot maximum is turning out to be a dud, but that shouldn’t be a surprise. The sunspot maximum began its eleven year cycle in 2010 after one of the quietest solar minimums in recent history. 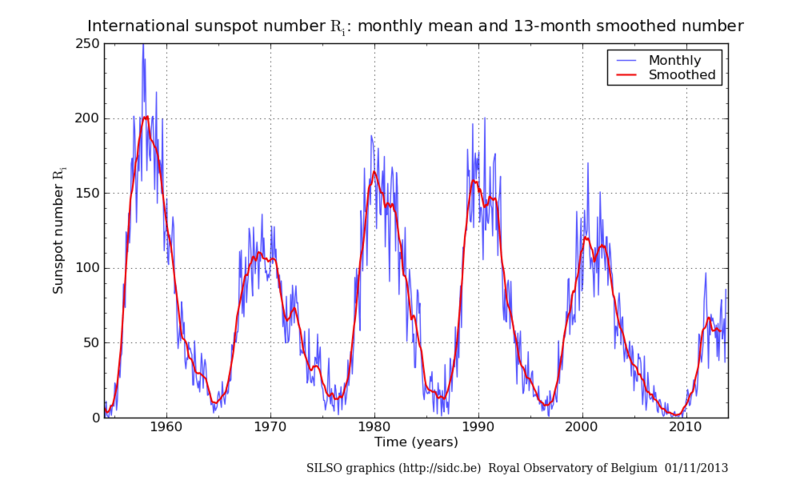 Now in its fourth year, the sunspot maximum is one of the wimpiest since early last century. The current cycle is also building to a double peak of sunspot activity that has been consistent in the last three sunspot maximums, which is typically followed by a rapid drop off of sunspot numbers. 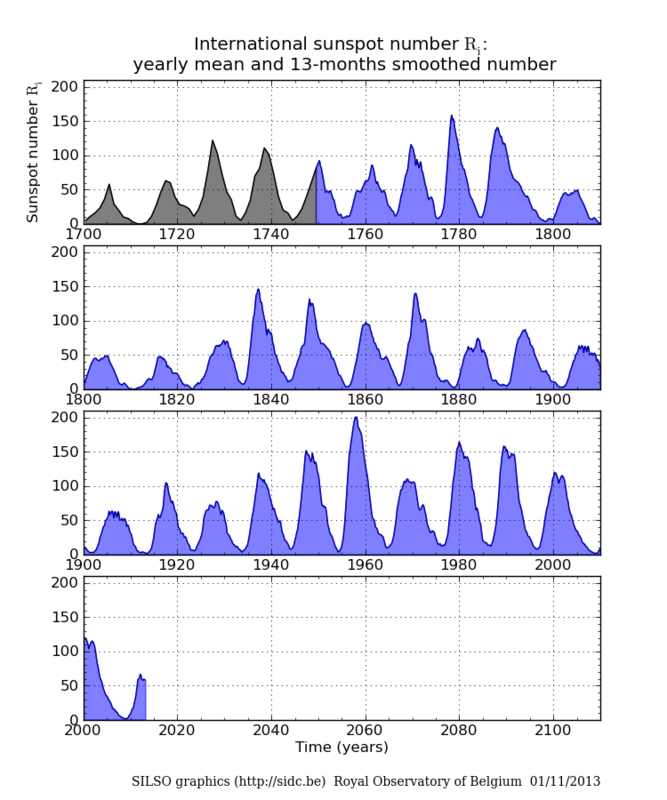 It is likely that activity will fall dramatically during 2014-15 leading us into the next solar minimum that will bottom out late in this decade.